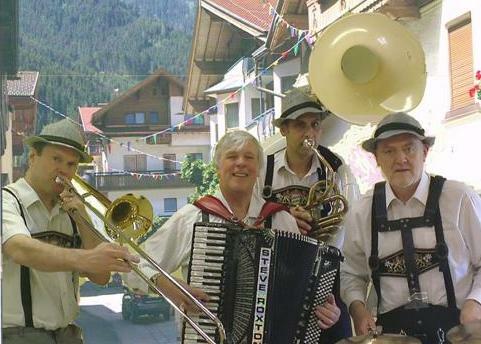 The band is now taking bookings for the 2014 Octoberfest events so contact A.R.C. Entertainments now! Also available for parties, bierkeller nights, german nights and festivals, etc. Also available with background music on playback between sets, to keep the atmosphere going the whole night long! Band is fully self-contained and is ideal for German nights, Bavarian nights, Bierkeller nights, Beer festivals, Hotels, Golf clubs, all sorts of events. Although based in Teesside and North Yorkshire, the band will travel nationwide.